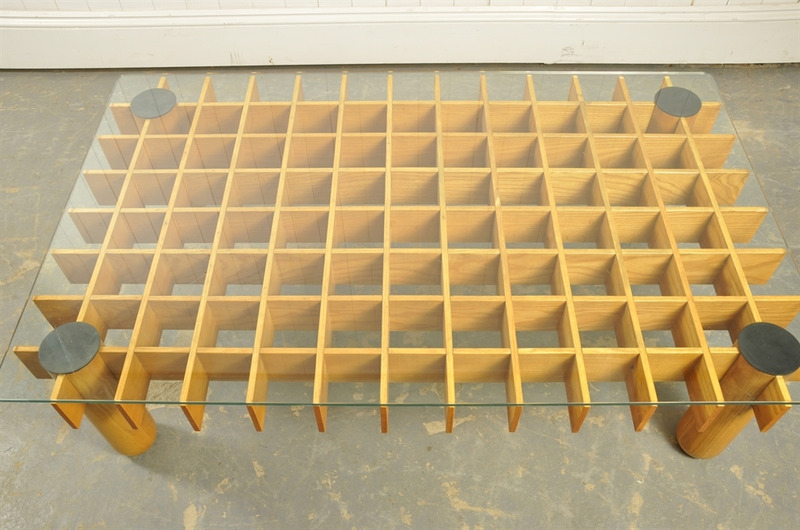 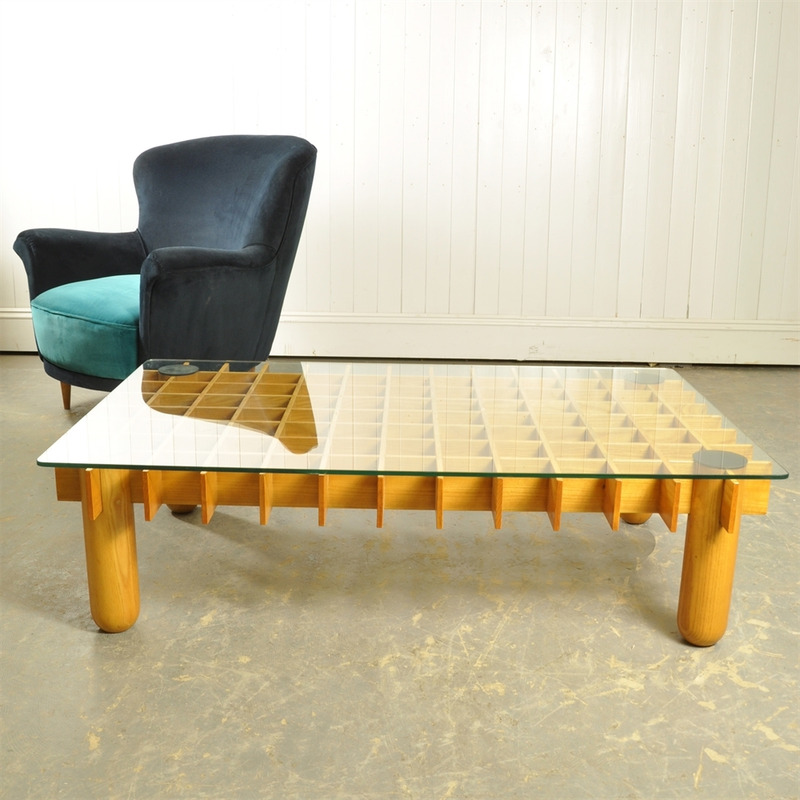 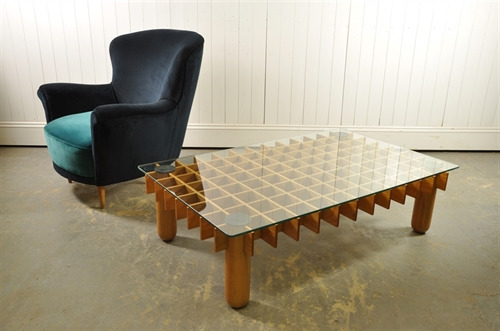 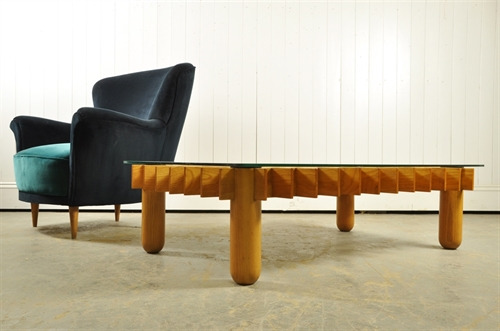 This excellent coffee table was, we think, designed by Italian designer Gianfranco Frattini and distributed by Knoll. 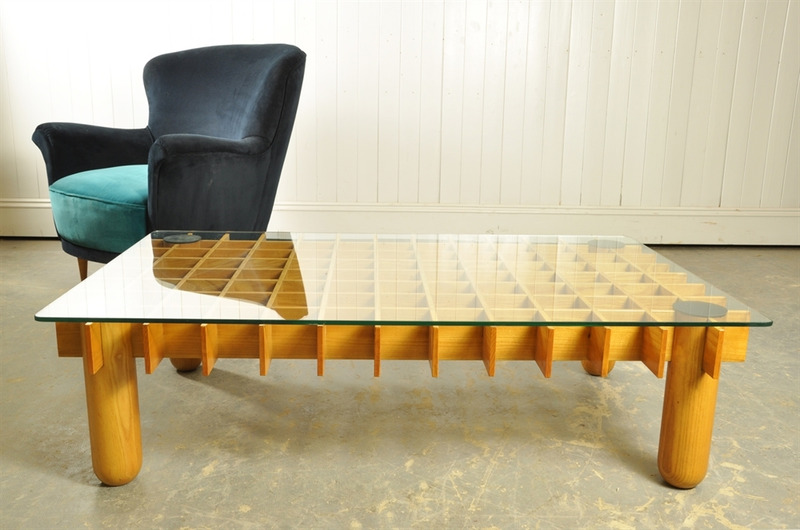 We sourced this interesting piece in Italy however we can't be one hundred per cent sure of its provenance and therefore, it could be a 1980s copy of the 1970s original - and the price is reflected accordingly. We believe the 'Kyoto' design to be based on Japanese furniture construction. 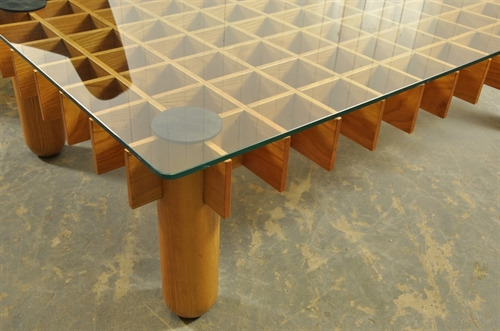 The wood is maple and the top is glass. It is in good condition with some scratching to the glass. 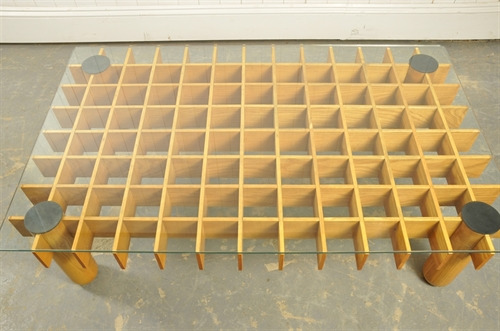 34.5 cm h x 124 l x 76 d.